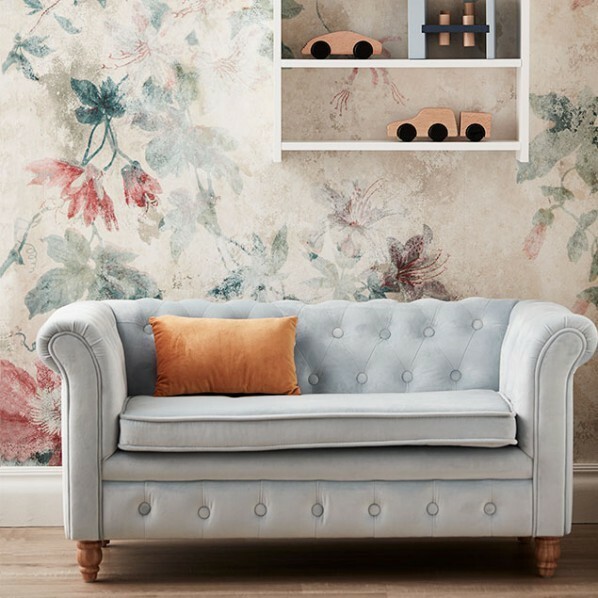 This sofa in Chesterfield style by Kids Concept will be such a stylish addition to the nursery, playroom, living room, hallway or any space in your home!!! Beautifully crafted with simple yet elegant button details, this luxury piece of children's furniture will add a touch of class and sophistication to your home. 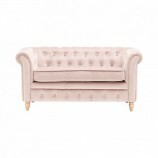 In a soft pink colour, this retro style sofa is ideally suited to your childs bedroom although its neutral shade will complement any space in your home. 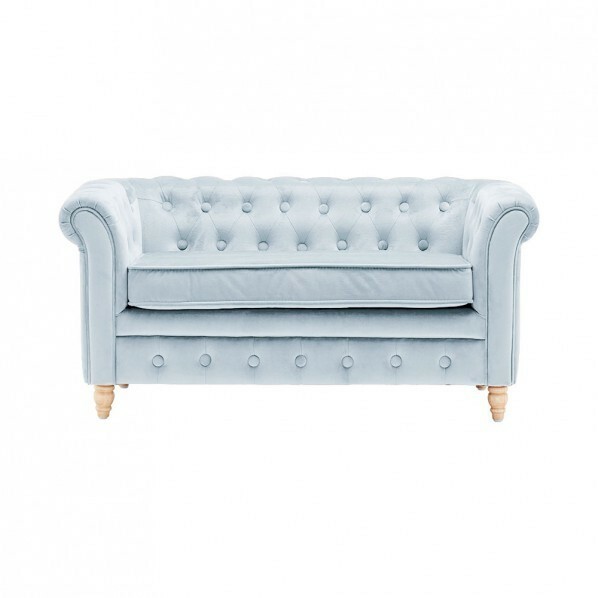 This beautiful velvet sofa is the perfect place for you to snuggle up with your little one to read at any time! Suitable for children between 3 and 8 years. Available in three stunning colours. The pillowcase has a zipper and can be taken off for cleaning. Great to combine with the velvet storage box/ footstool from Kids Concept in the same colour.